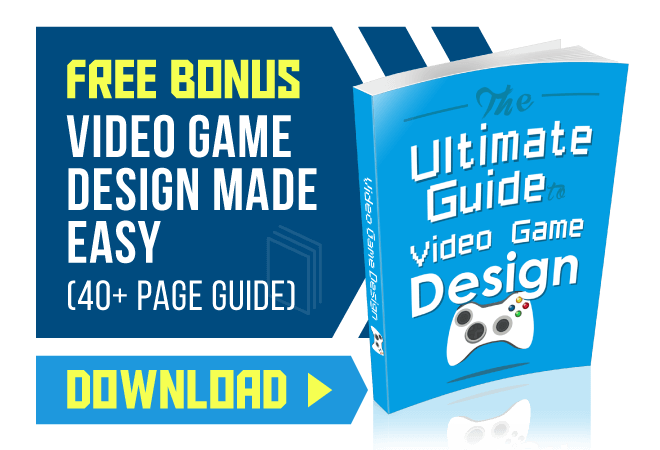 You’re looking into designing games, but you have some questions about the differences between game design for computers and game design for consoles. We’re going to outline a few key elements of the game design process that might help you make your decision. Let’s dive right in. There are a couple of “wars” you’re probably aware of. First, there’s the console war, but we aren’t as interested in that today. 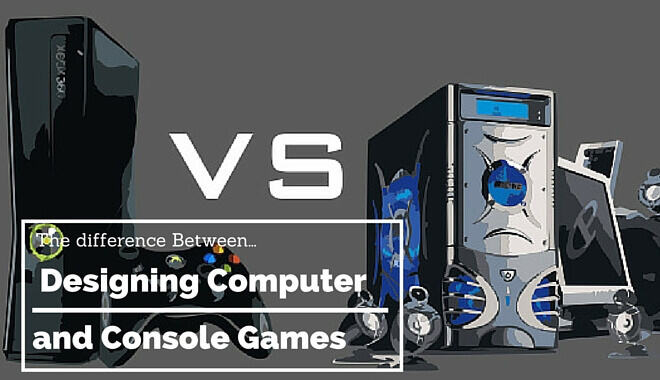 We’re talking about the grueling console vs. PC war. Five years ago, reports were published that seemed to indicate computer gaming was on its way out. “It is dying” they said. Well, that wasn’t the case. And now, in fact, the opposite is true. A more recent report indicates that PC game sales could actually overtake console game sales this year, in 2016, by 1 billion dollars. We don’t know what to believe anymore. Does anyone know what they’re talking about? The important takeaway from this is: don’t get scared by market trends. If you wanted to design games on the PC five years ago, and you decided not to because the “market was dying,” you’d be kicking yourself now. Same thing goes when you consider the latest report on the current trend. Just because PC is on the up and up now doesn’t mean you shouldn’t try and design games for consoles. There’s no real way to predict what will happen. If you have a preference, go for that! With the fiscal projections out of the way, let’s take a look at the differences in the workloads of designing for PC and for consoles. Let’s start with consoles. This is a good time to be a designer because the framework used to develop consoles has morphed considerably since the old days. Now, coding for consoles and developing for consoles is much more similar to developing for PCs. It isn’t exactly the same, mind you, but it’s significantly closer than it used to be. There are some fundamental differences, and we’ll look at those now. When designing for a console, you are working with finite hardware capabilities and concrete specs. Sure, this is more limiting than the PC’s adjustable capabilities. But it also makes it easier on the designers (you). You are building a game within very specific parameters. You don’t have to compensate for differences in video cards or processors. Every Xbox One is, from a game design standpoint, exactly the same. The variance comes from the different console options. Designing for PS4 is different than designing for Xbox One. Typically, especially with bigger games, the workforce is separated into dedicated, console-specific teams. You’d be assigned to the PS4 team, or the windows 10/Xbox One team. On smaller development teams, everyone might be porting to a couple different systems. 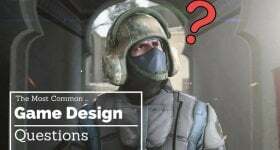 As we mentioned above, a primary difficulty of designing games for the computer is working around all the hardware variables. The goal is to design great gameplay, certainly, but you want it to look great and run smoothly too. To do that, you have to keep these different specs in mind as you’re building. The video card, the sound card, the processor, etc. can vary substantially from the low-end tech gamer to the high-end tech side of your audience. The game has to play well across the whole spectrum. There are other factors you’d want to consider when it comes to game design. It might surprise you to learn that the differences diminish the further down this rabbit hole we go. Factors like budget, timeline, difficulty of the work, and team size are all worthwhile considerations. But there isn’t a “PC way” to do it and a “console way” to do it. These elements are all determined by the scope of the game being designed. If you have a big MMO game, even a AAA game with a big budget and a large team, it could take several years. If you have a shooter, it might only take up to two years. Think Call of Duty–sure, we see a new one every year, but it’s two separate studios, taking two years apiece to build a game, with a staggered release strategy. The bigger the team, the more people available to work on different elements concurrently. The smaller the team, the more everyone will have on his or her plate, and the more challenging it will be (assuming game size stays the same). Smaller games will take less time, and they are a more manageable place to start your game developing career. As far as coding language goes, for AAA game the standard is typically C++ regardless of the intended port. In smaller games, you’ll see greater variety, like java or flash. All of these factors, like difficulty and budget and team size, depend almost entirely on the game and the developer. It isn’t specifically tied to consoles or PCs. So there you have it. Our best advice is to pick the one that’d you rather spend all your time working on. The size of the game is what will influence a lot of the workload variables, and the size of games vary for both consoles and computers. System specifications will be easier to cater to as a console designer, but that doesn’t mean it will be an unbearable task for PC. And as valuable as consumer data for games is, it isn’t infallible. Who knows where games will be in another five years? That’s why we recommend picking your favorite. Will VR Change Game Design in The Future? What is AbleGamers and Why is it Important? Does Game Design Spoil the Fun of Playing?